Since 2009, Gravity Forms has revolutionized the WordPress plugin industry, specifically how small businesses create and manage user input. Launched in 2016, WPForms is brought to you by the same team that’s behind the WordPress resource site, WPBeginner, popular lead-generation software, OptinMonster, and WordPress analytics plugin, MonsterInsights. According to its founder Syed Balkhi, over the years, they found that most WordPress contact form plugins were bloated, buggy, slow, and very hard to use. So they started with a simple goal: build a WordPress forms plugin that’s both easy and powerful. As one can see, both WPForms and Gravity Forms have quite similar features under their different plans. The basic plan of WPForms will cost 39 USD compared to 59 USD of Gravity Forms. WPForms has a free lite version which comes with limited functionality and yet great for creating contact forms. However, the lite version actually helps users to see how convenient it is to prepare forms with WPForms before committing for a paid plan. It is to be remembered that form builders like WPForms and Gravity Forms are marketed as an easy-to-use software application for anyone with zero or no programming knowledge. In that sense, basic plan of WPForms helps save 20 USD for one website. Also, pricing plan of WPForms has five options (free, $39.50, $99.50, $199.50, $299.50) to choose from unlike three of Gravity Forms ($59, $159,$ 259) which has no free plan to start with. In general, all software applications are good so long they are designed while trying to adhere with the standards. Each software is a result of unique piece of codes, and ultimately, it is for the users to figure out how to leverage the best from any of them. Our believe is that while accepting guest posts, the default registration system that comes with WordPress works best, and so we have not implemented Post Submissions Addon that comes with Pro and Elite Plan of WPForms. We find that it is much better if the guest author has similar default WordPress editor while writing and submitting posts that the admin has. On the contrary, if you want to just access text content with few images without requiring the guest to register/login, one of the reasons for abandonment, then go for Post Submissions Addon. While the survey addon that comes with Pro and Elite plans of WPForms and Elite Plan of Gravity Forms is great for integrating survey forms into your own WordPress website, what if you want to leverage fast opinions of people who are not part of your website/social media? 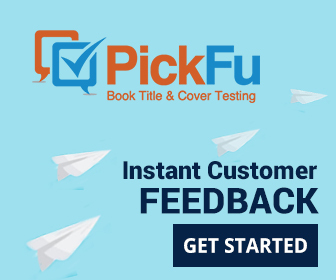 In this case, consider a service offered by PickFu wherein they bring the respondents. Although WordPress is today the most popular CMS, what if for some reason you are using other applications like Joomla or just social media? In such cases, we recommend SurveyMonkey. Being specialized in survey, SurveyMonkey can bring deep insight which perhaps should be complemented with survey addon that you get with WPForms or Gravity Forms.